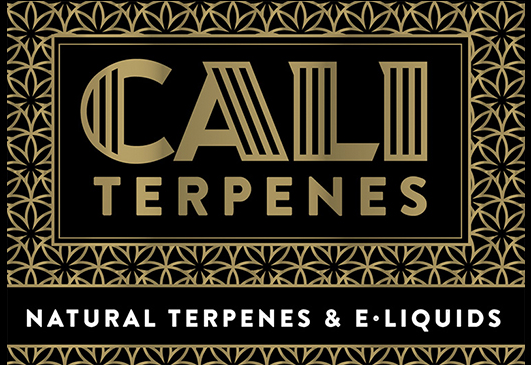 Cali Terpenes is a Spanish company created by Toni and Ferran of Eva Seeds and dedicated to the elaboration of 100% natural terpene concentrates. Thanks to it’s modern laboratory for processing and analysis, and by using only natural raw materials of the best quality, this young company has been able to develop a series of formulas reproducing the terpene profile of several well-known cannabis varieties, among them Gipsy Haze and Gorilla Glue. 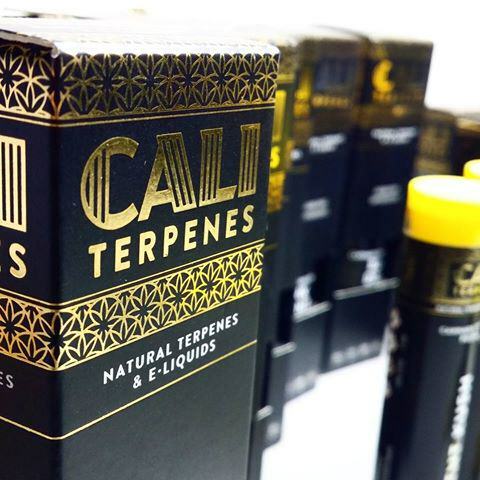 Far from resembling the many mediocre quality terpene profile reproductions of certain plants, and owing to a studied and rigorous process of production, the work of Cali Terpenes represents a significant step forward in this sector. Over the last few years, using terpenes has become increasingly popular in both the recreational and the medical field, especially in the United States, where the Cali Terpenes team were inspired to create their company. Highly versatile, they can be mixed with edible oils (such as coconut oil, for cooking delicious recipes), used with resin vaporisers or, being effective natural solvent diluents, they can be combined with cannabinoids such as THC or CBD. It’s a great way to improve the flavour of both edible products and cannabis concentrates. In addition to the recreational use, terpenes are also known to drastically increase the effectiveness of cannabinoids, working in synergy to create an ‘entourage effect’ modulating and potentiating the therapeutic effects of cannabinoids. Indeed, it can be used to make the effect of a concentrate like the Clear more Sativa or Indica, more stimulating or relaxing. The term terpenes covers a wide variety of compounds derived from mevalonic acid, which originate from the enzymatic polymerisation of two or more units of the hydrocarbon isoprene. They represent the main constituent of the essential oils of a good number of plant species, among them the cannabis. 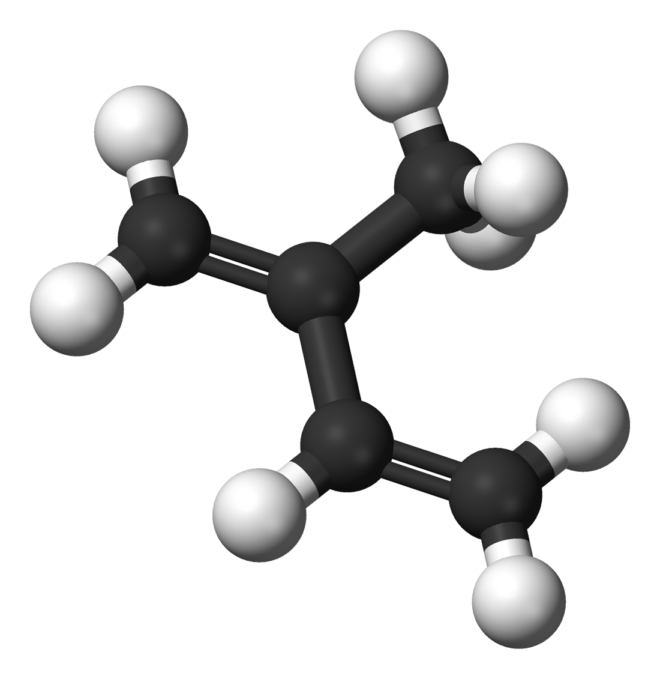 If they are chemically modified, these aromatic compounds are often called terpenoids. More than 100 different terpenes have been found in the cannabis plant, each with its own particular properties. The great majority of them are monoterpenes (terpenes with 10 carbon atoms, such as pinene, linalool, myrcene or limonene), although there is also a considerable number of sesquiterpenes (terpenes of 15 carbon atoms) such as farnesene or Humulene. Terpenes are also an excellent natural solvent, capable of diluting all kinds of resins, extracts or oils. In our article on marijuana terpenes and their effects you can find more information on these interesting compounds, which are increasingly used in applications as wide-ranging as medicinal cannabis, recreational, food industry or essential oils, aromatherapy and fragrances. In the cannabis world, terpenes are frequently combined with extremely pure but practically odourless and flavourless extracts of cannabinoids, such as the well-known Clear. Once the right amount of each terpene is mixed with the Clear as a base, it’s easy to reproduce a given profile as often as you like. A small quantity of terpenes is all that’s needed to dilute and aromatise a cannabis concentrate, leaving it ready to be consumed with a resin vaporiser or an electronic cigarette without needing to use glycerines, propylene glycol or other substances normally employed to dilute resins. Indeed, the team at Cali Terpenes have played around and experimented mixing terpenes with other extracts to great effect, even with low grade hashish. Regardless of the concentrate used as the base for the mixture, the results were consistently the same: the quality of the base material always improved when mixed with terpenes. Tesing was also carried out with edibles, obtaining identical results. Even the concept of adding terpenes during the curing of cannabis is being tested, using cabinets specially designed for this purpose. As we mentioned in the introduction to this article, terpenes are also used to enhance the effect of cannabinoid-based medicine or extracts, increasing their properties in comparison to pure extracts of, for example, THC or CBD. This is due to the entourage effect, a synergy created between the various molecules involved which modulates the effects of cannabinoids, potentiating the different properties of each one (It’s no coincidence that cannabinoids belong to the same chemical group of terpenophenols as terpenes). According to Cali Terpenes, by studying the terpene profiles of different cannabis varieties, and knowing the properties they have in common for a particular disease, a specific terpene profile could be elaborated to more effectively treat each disease or symptom. After seeing the potential of terpenes during a visit to California, Toni and Ferrán realised that they could offer a superior product than they were seeing available on the American market, and at a significantly better price. Thanks to their knowledge in this field, they were able to put together their advanced laboratory and, owing to the high quality of the raw materials they use, Cali Terpenes’ specialists have developed a wide range of strain-specific terpene profiles that perfectly reproduce many varieties of cannabis. In fact, Eva Seeds is the first cannabis seed bank in the world to offer terpene profiles of the full range of varieties in their catalogue. The terpenes used in their formulations are 100% organic and extracted using totally natural and eco-friendly processes, without resorting to the solvents often used in this industry such as butane, hexane, ethanol or CO2. As a result, the products are completely pure and natural formulations, made with 100% terpenes and free of not only chemical solvents and heavy metals, but also cannabinoids and propylene glycol, in addition to having “Food Grade”, “Kosher” and “Halal” certificates and complying with all the requirements of European regulations and the US FDA. Currently, Cali Terpenes is developing strain-specific terpene profiles for other seed banks, and is also creating an impressive range of profiles of both American and European varieties. Cali Terpenes extract terpenes naturally found in plants, and blend them according to the terpene profiles of the cannabis strains offered, resulting in flavours and aromas remarkably similar to those of the plant being reproduced. The rationale for not using cannabis to extract the terpenes is simple: sustainability. The amount of cannabis being grown today would fall far short of supplying the market’s demand for terpenes, and for this reason Cali Terpenes have looked to terpenes of other, legal plants to extract and then combined them, painstakingly following the profile of each strain to be replicated. After all, regardless of it’s source, terpenes are isolated molecules, and the limonene extracted from, for example a lemon, will be chemically identical to limonene extracted from any other plant, including cannabis. The company philosophy is work well done, without hurry; Their source material is all cultivated 100% organically, meaning that flavour and aroma are always of superior quality. The terpenes are extracted by steam distillation, which avoids the use of solvents and the possible contamination of the terpenes by the presence of unwanted toxic substances. 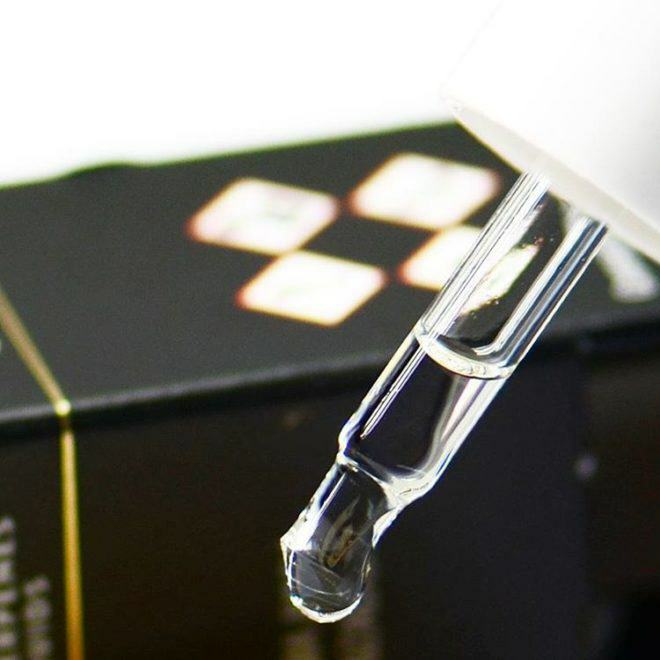 After obtaining their 100% natural terpenes, they use one of the most prestigious European laboratories to analyse a sample of the cannabis variety to be replicated, and fine-tune the blend of their profiles to achieve the desired end result. 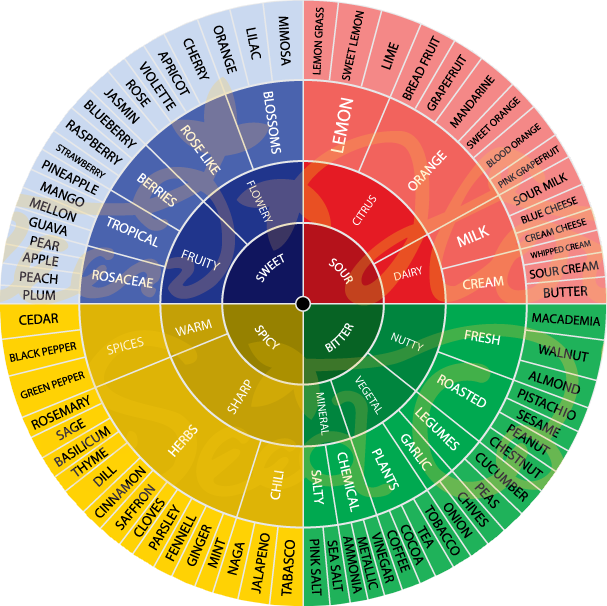 Of course, it wouldn’t be possible to include all of the substances contained in a sample of cannabis plant matter (analysis shows around 300-500 different compounds in an average strain), although many of these don’t contribute to the flavour, are toxic or actively taste bad, so the profiles of Cali Terpenes include the terpenes that truly give characterise each variety. In addition, as Cali Terpenes’ products contain no cannabinoids, they are 100% legal worldwide and suitable for the food industry. Given that these are not directly derived from cannabis extractions – which could contain unwanted substances – a completely pure terpene content can be ensured, free of other compounds that could either harm our health (pesticides, heavy metals, etc.) or rapidly degrade terpenes, meaning they lose a considerable proportion of their organoleptic properties. If you’re curious to experience the taste and aroma of any of these varieties, whether it’s for cooking, for improving the quality of a concentrate or for aromatherapy, here’s the chance you’ve been waiting for to try it with this top-quality product containing only the best pure, natural terpenes. The precautionary measures needed when handling these terpenes are simple: avoid contact with the eyes and skin. Do not use terpenes in concentrations higher than 4% (approximately one drop of terpene per gram of extract). It’s vitally important not to ingest, vaporise or smoke terpenes undiluted, they must always be mixed with some kind of oil or extract to dilute them. Here’s wishing you a very tasty and terpy experience! Are your terpenes Canibus or other plants with same ? I need more information if you can contact me via email please.